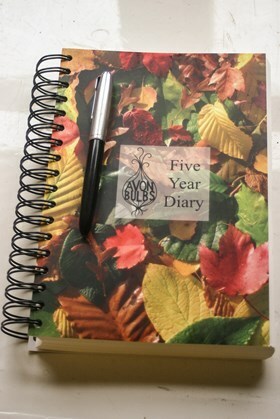 Our ever popular Five Year Garden Diary is a great gift for gardening friends. Spiral bound with a wipe clean cover, there is a page for each day of the month, divided into five, one for each year. Each month has a title page with a beautiful line drawing by Susan Ogilvy of one of our flowering subjects, a page of possible gardening jobs for the month and a list of flowers that might be in bloom in the garden at that time. Equally good for recording home building projects; a child’s first 5 years or a house move for example, when without reminders the early days are easily forgotten. Dimensions: 15.2cm (6”) wide by 23.5cm (9.25”) high Weight: 770g Free postage to UK addresses.